We LOVE these water balloons. We put a little water in the bottom of a clear tote and fill about 100 balloons in a matter of minutes. 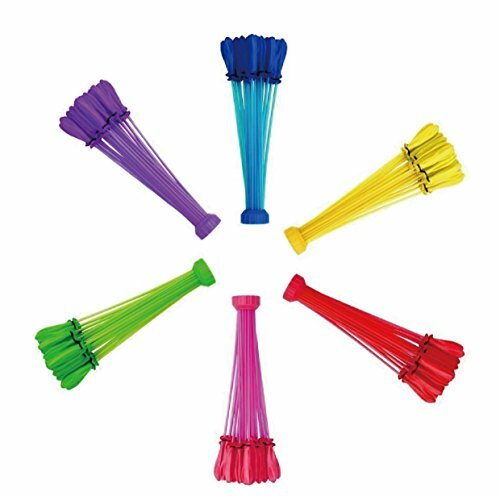 You just screw the special end on your hose and attatch it to the end on the water balloons As the balloons fill with water, they drop off into the tote and seal themselves. No more taking hours to fill waterballoons. Seriously, this invention is genious!! !